Starbucks opens Princi bakery in Seattle: And Starbucks card lovers, there’s a Princi card! 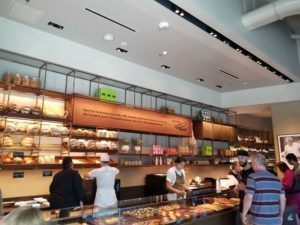 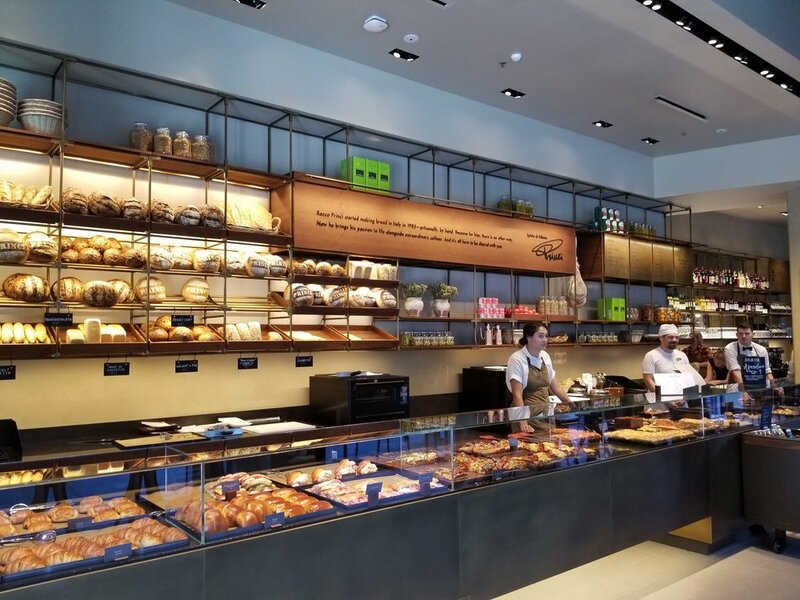 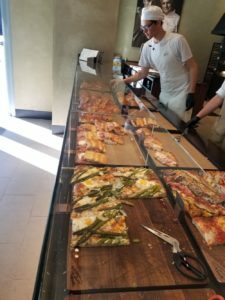 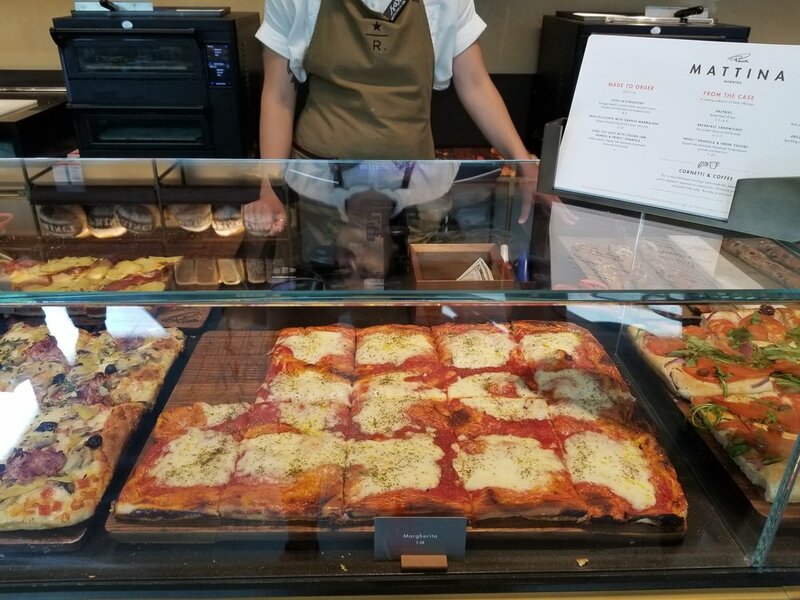 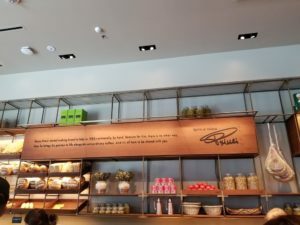 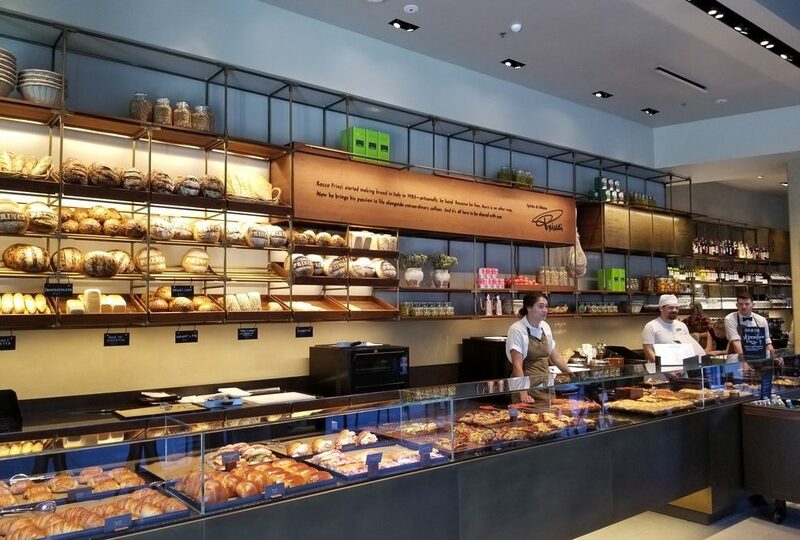 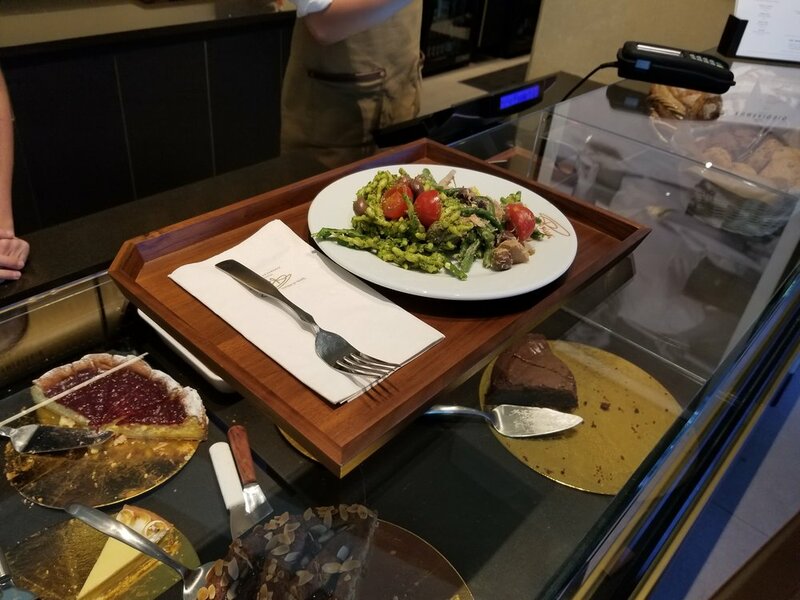 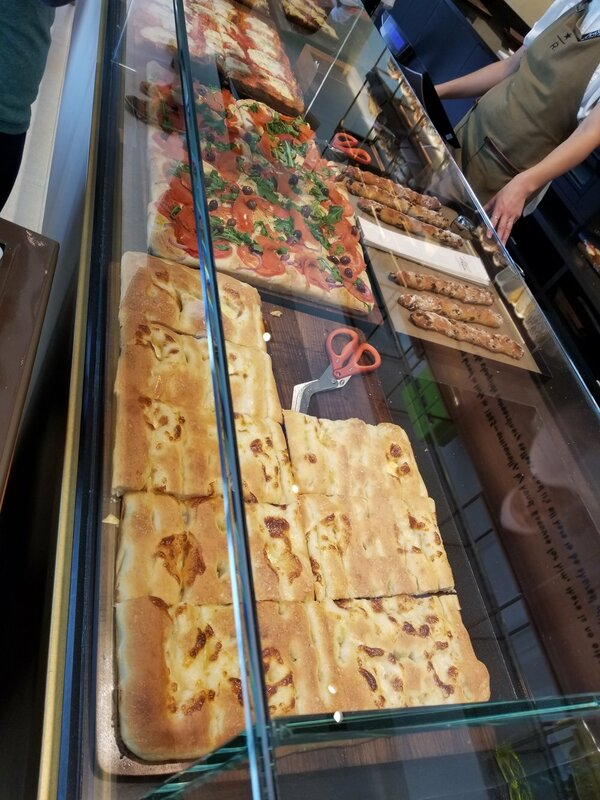 On July 31, 2018, Starbucks opened their first stand-alone Princi bakery restaurant. 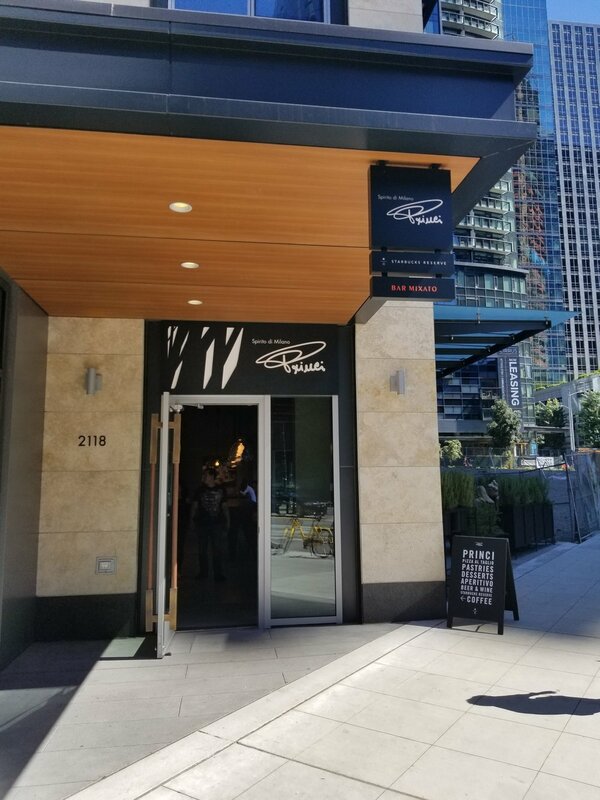 You’ll find it at 2118 Westlake Avenue in Seattle. 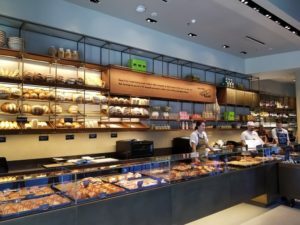 It’s a welcoming bakery with a twist – you can enjoy it any time of day, enjoy coffee, or signature mixed drinks there. 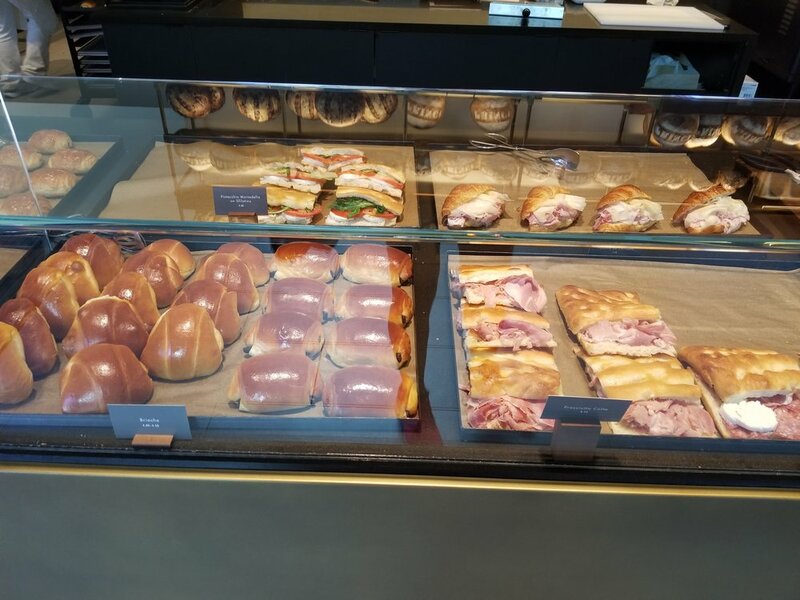 The food offerings change during the day with breakfast foods ending around 10:30 AM. 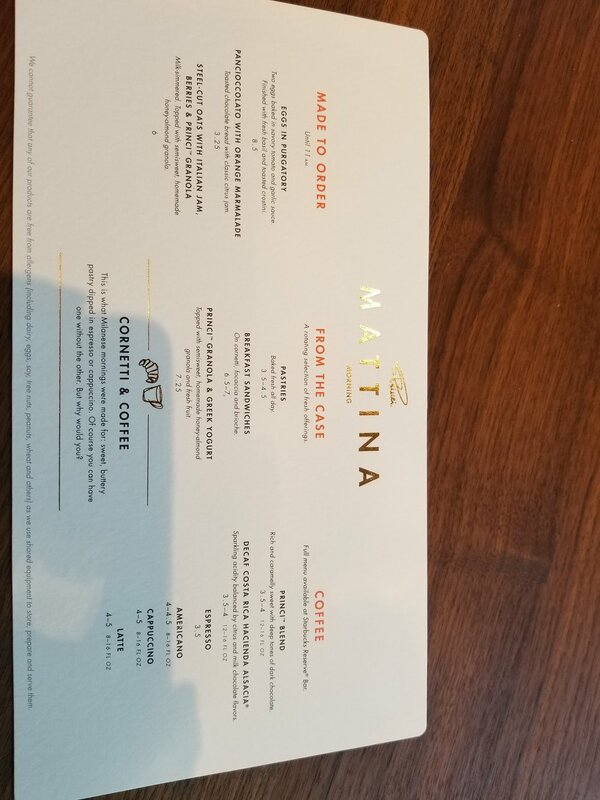 Soups start at 10:30 AM. 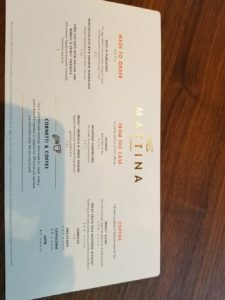 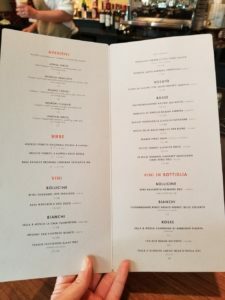 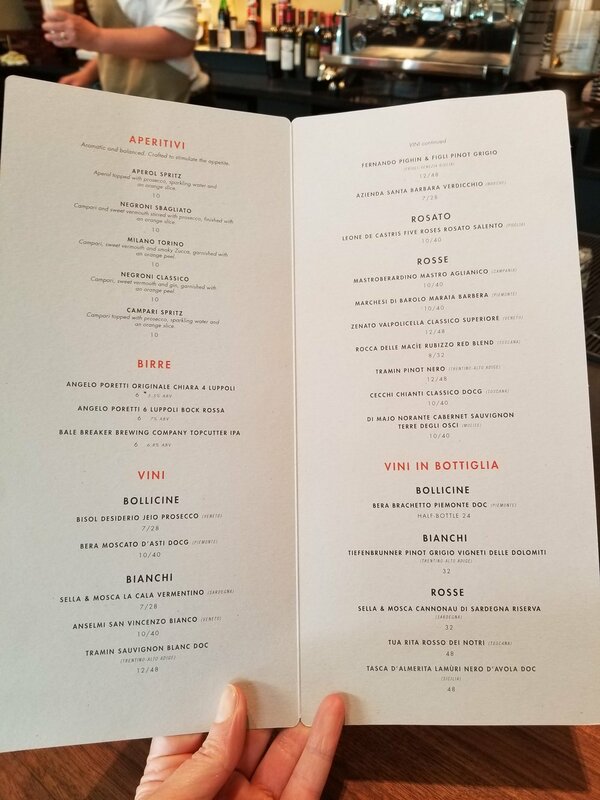 Between 4:00 PM and 6:00 PM, when you order a cocktail, you’ll be offered a few pizza bites or other small food options to snack on with your drink. 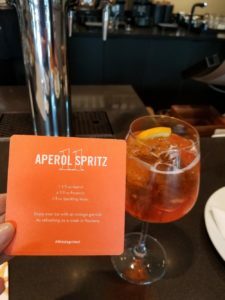 I dropped by today and had a beverage (the Aperol Spritz) and the lentil soup. The atmosphere is warm and inviting and all of the partners were super nice. 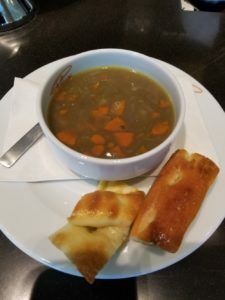 I’ve recently gone vegan and there isn’t a lot on the menu to choose from which is vegan, but the lentil soup was delicious. 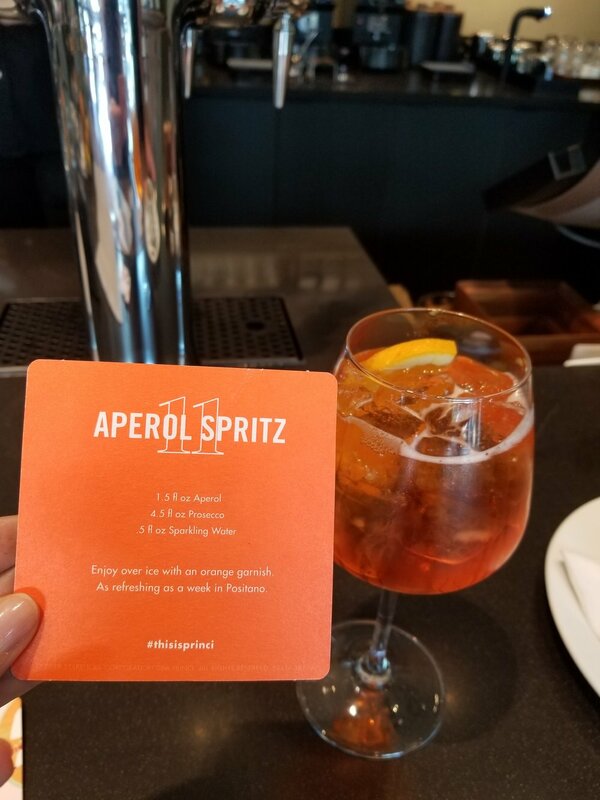 The store manager of the Princi store is Ben, and his favorite specialty drink is the Negroni Classico. If you collect Starbucks cards, you’ll want to know that there is a special Princi Starbucks card! 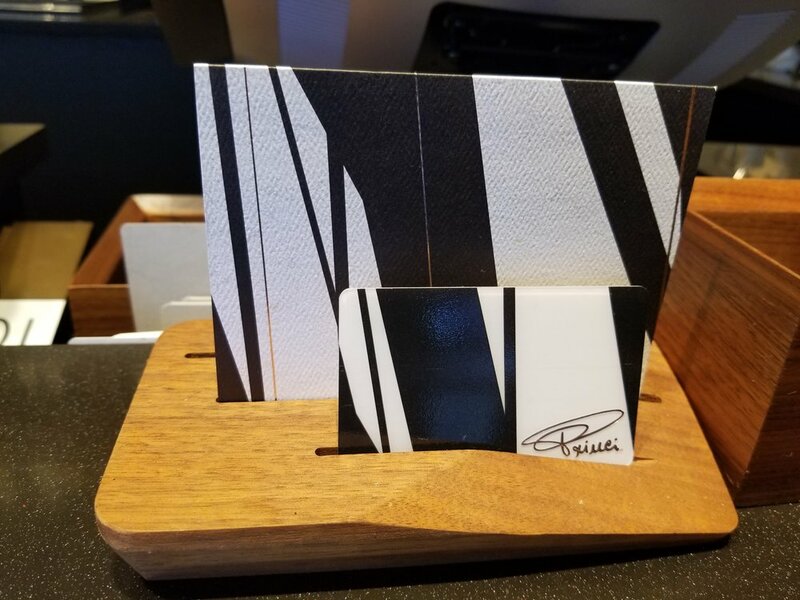 You can register it, load money on it, and use it to pay for your purchases. This isn’t the first time that Starbucks has created a special Starbucks card for other business they operate: In 2012, there was an Evolution Fresh Starbucks card, which was available at Evolution Fresh stores. 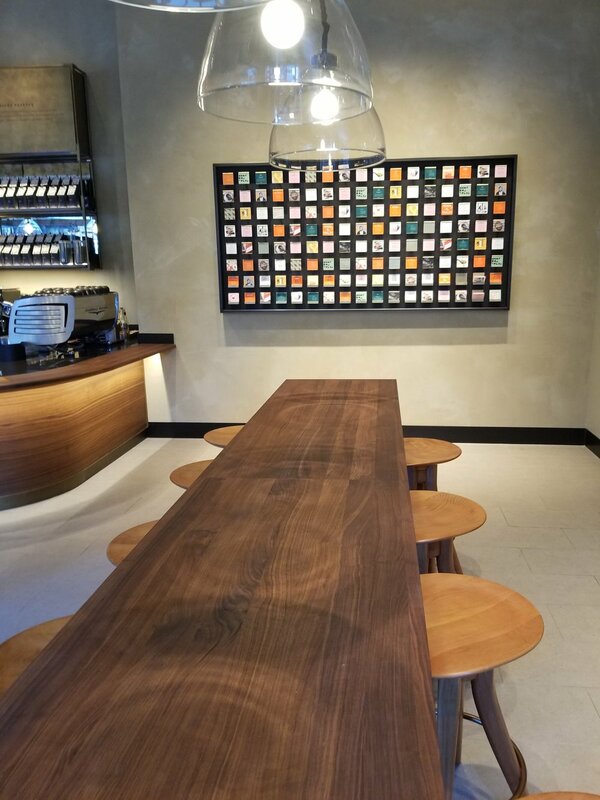 The store has both indoor and outdoor seating. 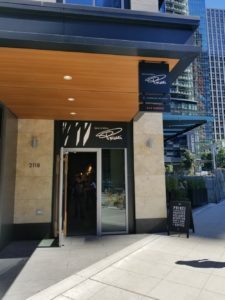 Sorry I didn’t really get photos of the patio space. 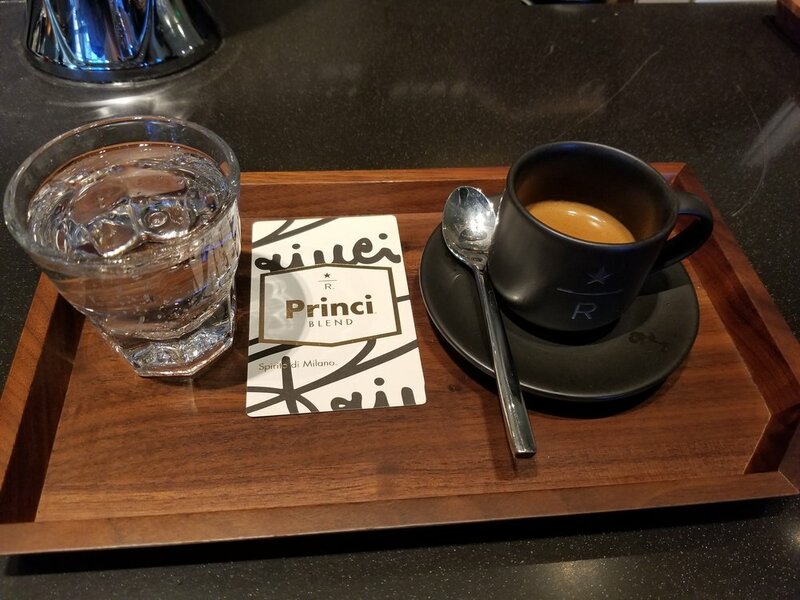 Hope you get to drop by and experience Princi! 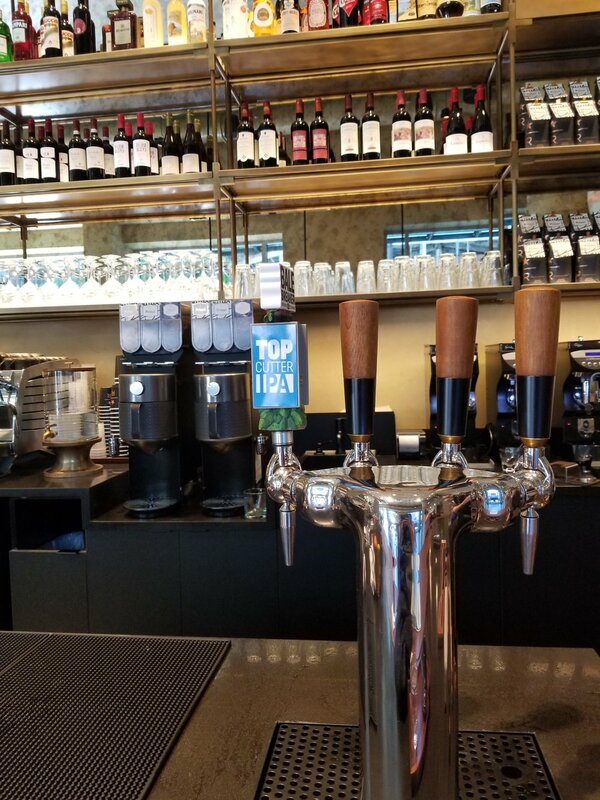 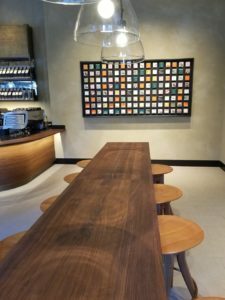 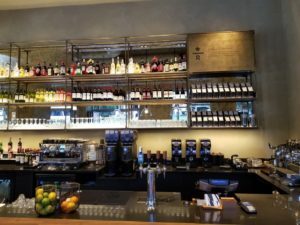 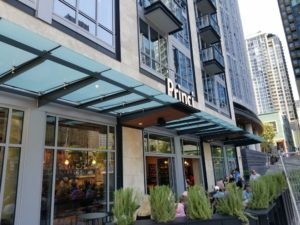 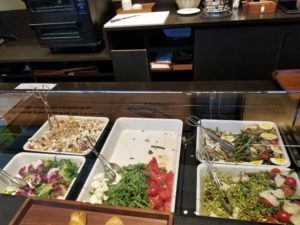 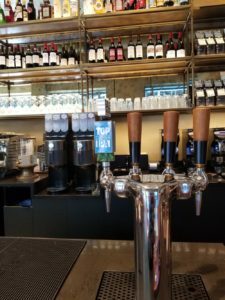 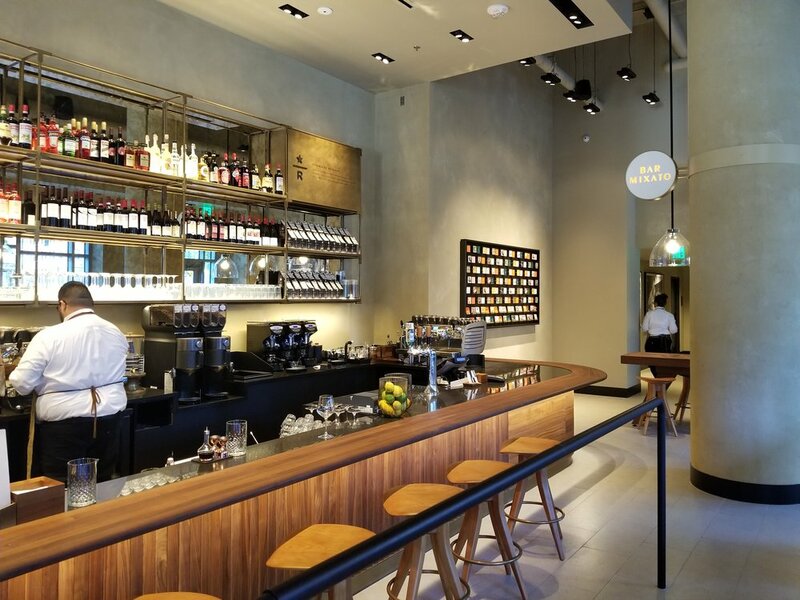 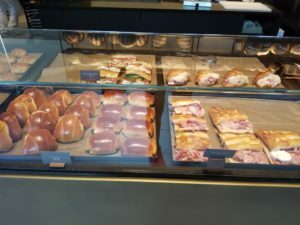 This is the first stand-alone Princi (you can already enjoy Princi food inside the Roastery, the Reserve store at the headquarters, and the Reserve store at 1st and University in downtown Seattle) but Starbucks has said that more Princi stores are coming! 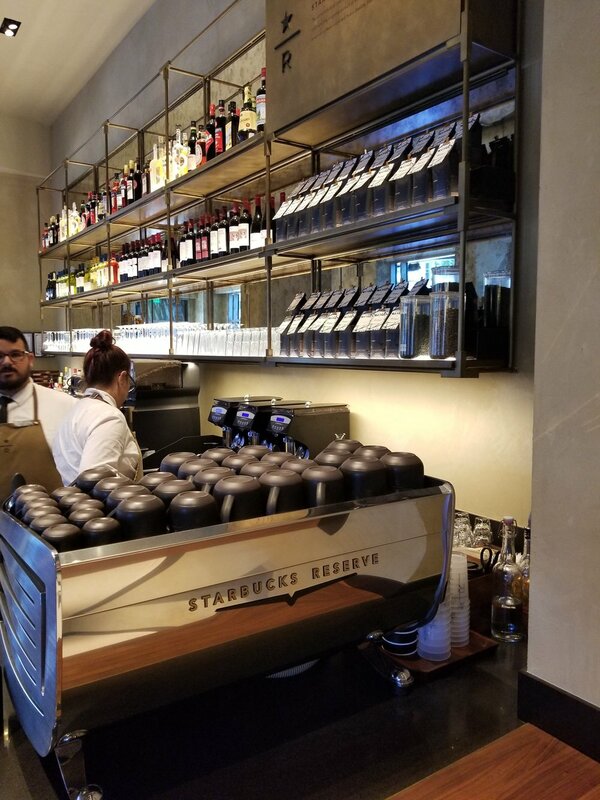 Your Starbucks Moments: Featured photo - brothers at Starbucks. Howard Schultz for President 2020 merchandise is here: Will Howard run for president? 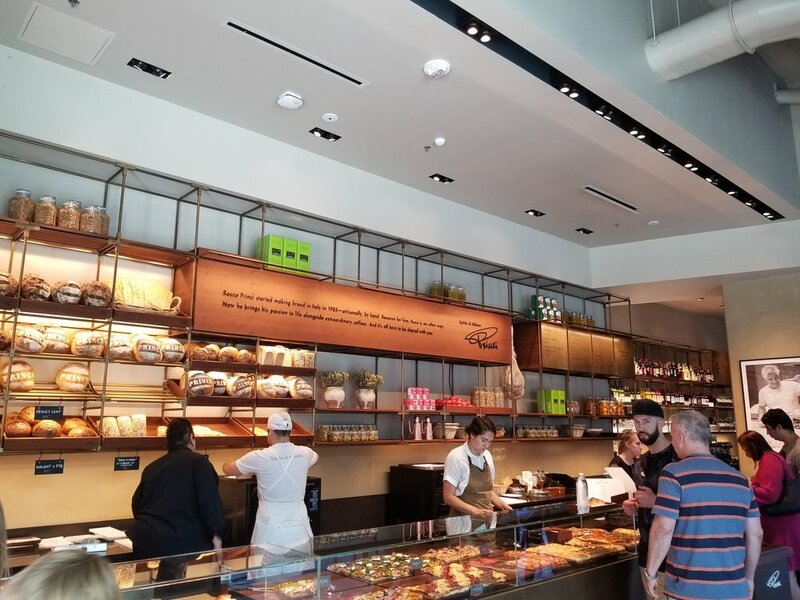 2 New Bistro Boxes at Starbucks: Thai Chicken Wrap and Edamame Hummus. 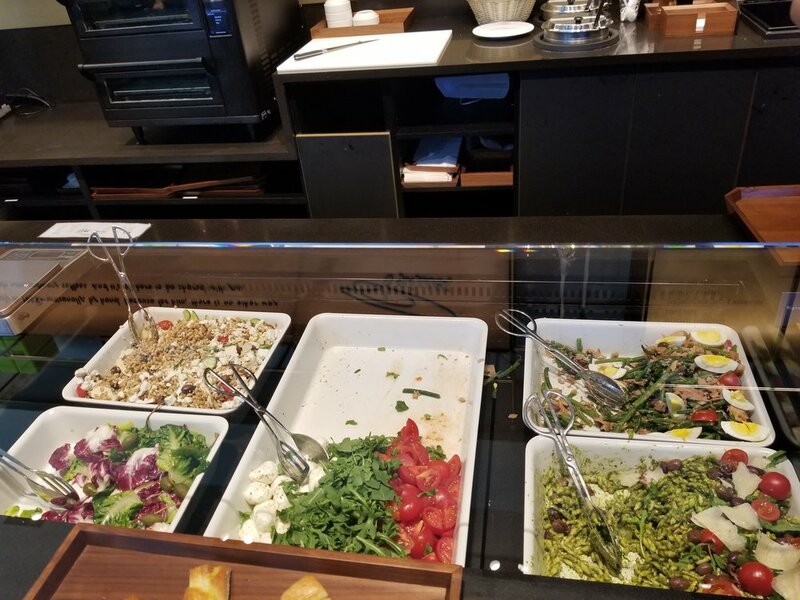 Veggie salads coming soon to Starbucks? New: Seared Steak, Egg & Tomatillo Wrap! 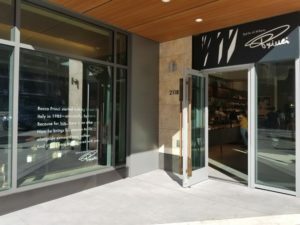 Are they planning on opening any in the San Francisco Bay Area any time soon?